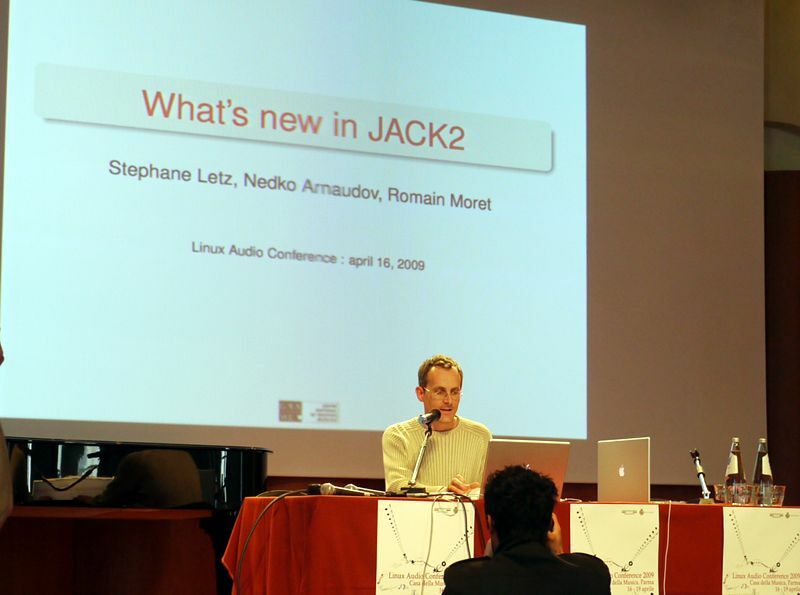 Stephane Letz: What's New in JACK2? Abstract: JACK2 is the future JACK version based on the C++ multi-processors Jackdmp version. This paper presents recent developments : the D-Bus based server control system, NetJack2 the redesigned network components for JACK and profiling tools developed during port on Solaris.